Welcome to Saints Philip and James School Physical Education with Mrs. Cicalese! Mrs. Cicalese's High 5: "Have Fun. Be Safe. Kind Words. Try Hard. Include Everyone!" • Our physical education curriculum includes a balance of skills, concepts, game activities, and rhythm and dance experiences designed to enhance the cognitive, motor, affective, and physical fitness development of every child. • Activities are taught that allow children the opportunity to work together to improve their emerging social and cooperation skills. These activities also help children develop a positive self-concept. maintain their physical health and well-being. • Children are taught exercises that keep the body in proper alignment, thereby allowing the muscles to lengthen without placing stress and strain on the surrounding joints, ligaments and tendons. ​• Finally, the class is designed so that all children are involved in activities that allow them to remain active, and successful, while having fun. · All students will listen and follow the instructor’s directions. · All students will try their best in all activities. · All students will cooperate and work well with their classmates and instructor. · All students will display a positive attitude while maintaining self-control. · All students will participate in the activities scheduled unless a written reason is given. If an illness or injury persists, please have a doctor write a note explaining the restrictions your child has, as well as the duration of the injury or illness. 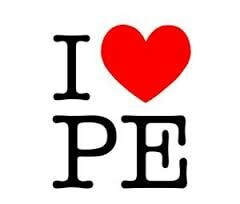 · All students have been reminded that they must wear sneakers and socks during their physical education class. This rule is for his/her own safety as well as the safety of the other students. Please refer to the handbook regarding gym uniforms. "I don't care how good you are, I care how hard you try!" Mighty God of strength and power. I praise you Lord, you are worthy to be praised. You give me strength, endurance, and flexibility. You direct my efforts and increase my determination. You encourage me as i seek to become physically fit. Thank you for your mercies.